There are a few cattle already on wheat pasture in Oklahoma and more that will be turned out in the coming weeks. An adequate crown root system is required to anchor wheat in place prior to grazing. 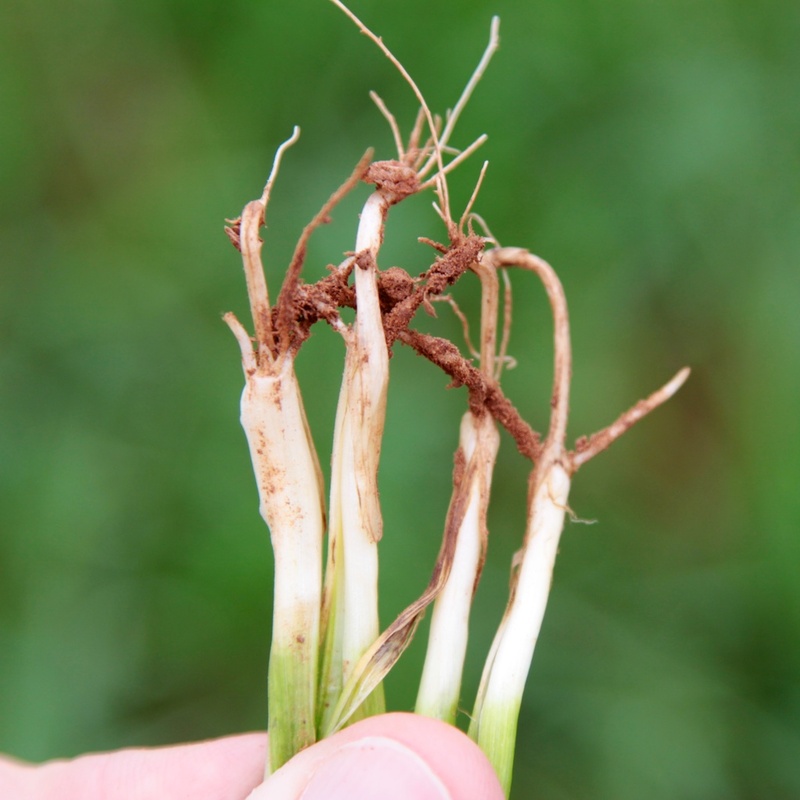 Without these roots, wheat can be pulled from the soil during grazing, thinning final stands. Aboveground appearances can be deceiving, so it is important to pull plants from the soil to ensure the crown roots are there even if the plants appear large enough for grazing. It is also important to make preparations for measuring first hollow stem prior to turning cattle out on wheat pasture. Grazing delays plant development; therefore, first hollow stem has to be checked in a nongrazed area. The nongrazed area does not have to be large and can be achieved through a panel exclosure or by simply moving one of the posts for an electric fence in a few feet. The key is to plan for the nongrazed area now so you can measure first hollow stem in February. By osuwheat in first hollow stem, Oklahoma, wheat on October 29, 2013 . Good question but not one that has a definitive answer. I would look for two or three good crown roots that are 3/4 to one inch in length. They will likely be longer than this, but only 3/4 of an inch or so will come up with the plant when you pull it out of the ground.